I received some notes back from the esteemed artist Guy Vidal. I asked him what he is doing and he replied that “since 2005, I am devoting my time and energy a new style: “High Reliefs” with paper” (you can see these beautiful works on his website, www.guyvidal.com. He also sent some notes on his contemporary Québecois artists. “I think Micheline De Passillé is still alive, but her companion Yve Sylvestre died a couple of years ago.” he writes. 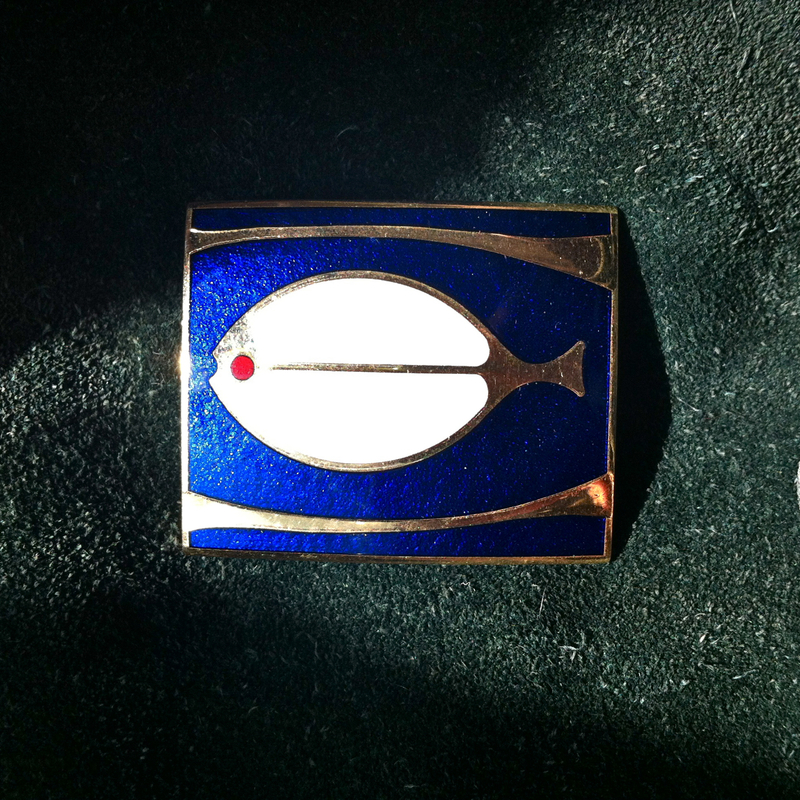 Coincidentally, I found the gorgeous enamelled poisson pin pictured above at the St. Lawrence Antique Market last Sunday. And “Jean-Claude Darveau is still in business, but not for long. I see him once in a while. He’s retiring soon.” I found this link to a shop that sells Darveau’s recent works.